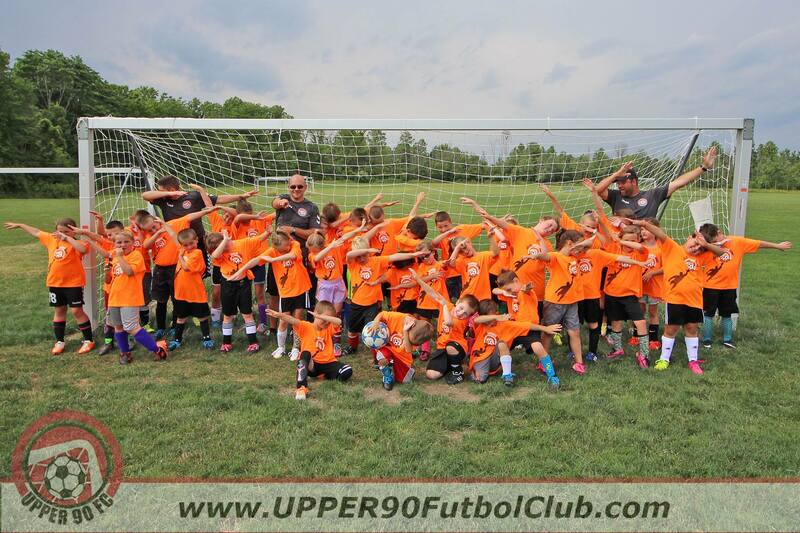 The UPPER 90 FC Summer Soccer Camp hosted by Cloverleaf Soccer Association (Lodi, OH) is sure to be an enjoyable experience for players of all skill levels, where your camper will learn, grow and have fun! Our Professional coaching staff will teach the campers their knowledge and passion of the game in a safe but fun learning environment. 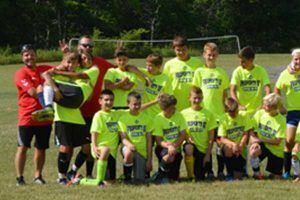 The camp will focus on technical exercise and games to develop their individual skills through foot skills drills, small sided games, and lots of soccer fun. 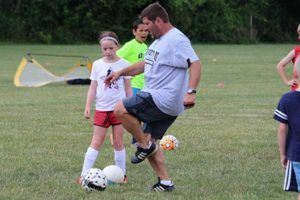 There is no better way to polish your skills and get those all important touches than to train with coaches and players that share your passion for the game of soccer. 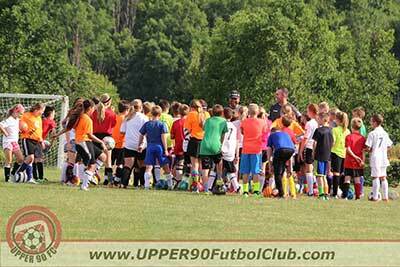 Motivate, Activate and Energize your child by registering them to participate in the UPPER 90 FC Summer Camp by completing the online registration form and payment information below. 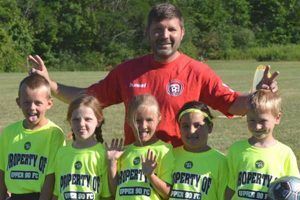 Whether you play recreational, travel, club, or are just a beginner… this camp is for you. 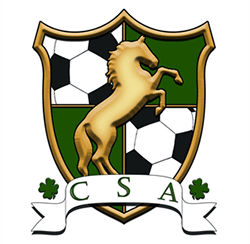 Players will be grouped by age and/or skill level. A $5 per sibling discount will be applied during the registration process. All campers who register by July 7, 2018 will receive a free camp t-shirt. Please arrive 15 minutes prior to the start of your session. 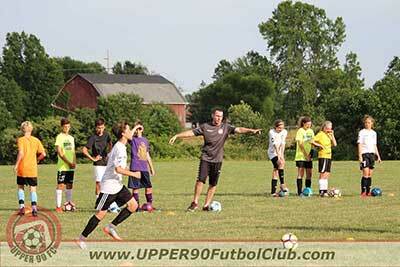 All camp registrants will receive an UPPER 90 FC Camp T-Shirt. Must register by July 7, 2018 to guarantee a camp t-shirt. mail us a check after you register online. Note: Cost plus transaction fee if paying by Credit Card. I understand that in the event that I wish to cancel this registration more than 14 days before the start date of the program, a 25% cancellation fee will be charged. No refunds will be given for cancellations within 14 days of the start date of the camp. No partial refunds will be paid if campers miss any sessions for any reason.